Creatures filled with hatred toward other human beings. 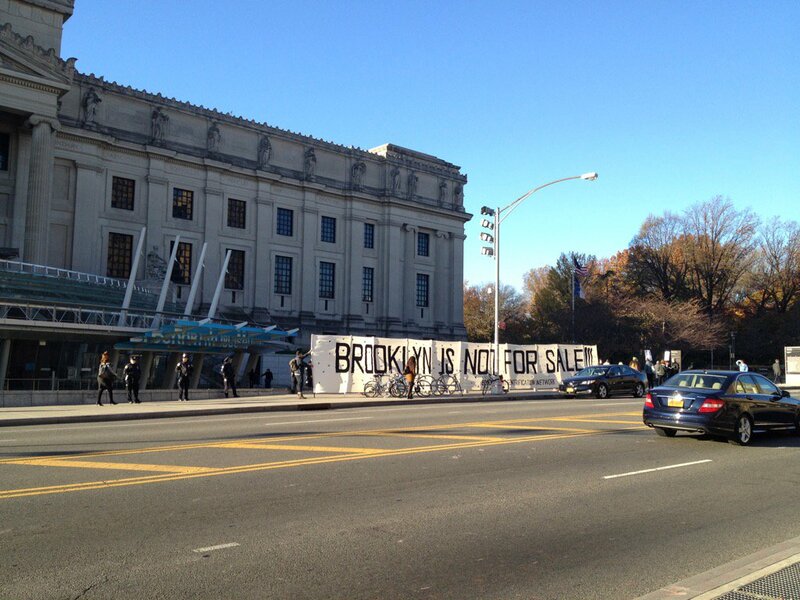 Sadly the Brooklyn Museum hosted a real estate developers summit. Some 600 individuals registered for the 6th Annual Real Estate Developers Summit at the Brooklyn Museum today. I’m saddened that the Brooklyn Museum would host such a summit for individuals to gather, network and “shape the borough into a place to live, work and play”. The question is for whom is the borough shaped and of course by whom? Historically, it is for the highest payer/player. These people gather to figure out how to make more money and unfortunately when it comes to “shaping” the city, it’s all about money, not about creating better neighborhoods, or livelihoods, or for the care of character or any sense of history… it’s about money. Developer Eli Hamway purchased a block of three Gowanus buildings for $21.2 million this spring. Hamway denied lease renewals to the more than 250 artists who rent studios in these buildings, a move many of them see as a signal the building owner wants to free the building of renters to make it easier to flip the property.